St. Charles Mayor Ray Rogina and Geneva Mayor Kevin Burns will be working for tips in a friendly competition for a good cause. 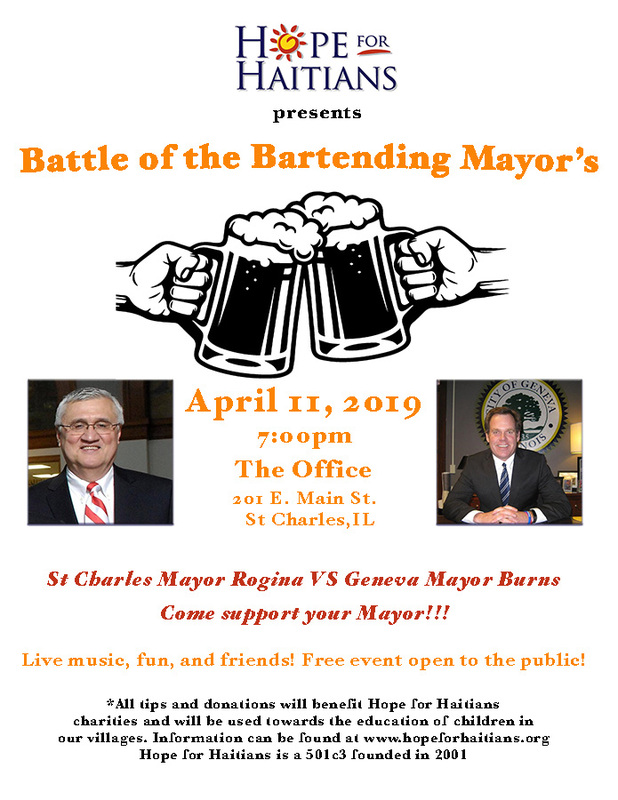 Both mayors will compete for the title of “best bartender” at The Office, 201 E. Main St., St. Charles, on April 11 starting at 7:00 p.m. This free event is open to the public, and all tips and donations will benefit Hope for Haitians charities and will be used towards children’s education. Join us for a casual evening and help support your mayor. More information can be found at www.hopeforhaitians.org.